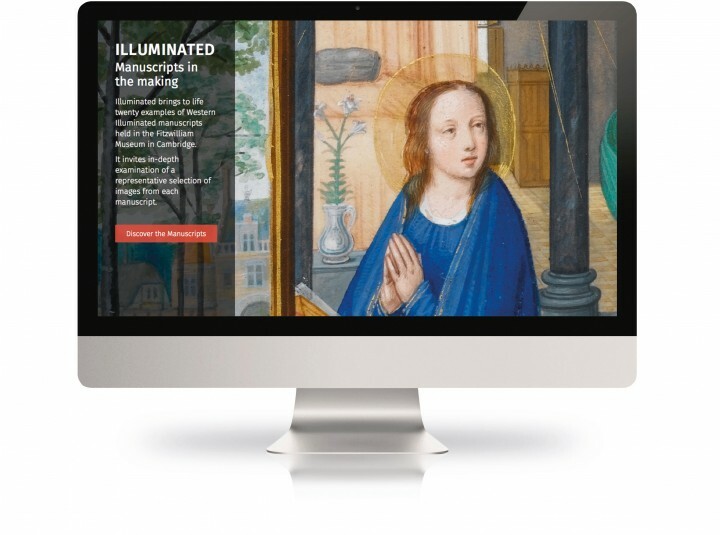 The Fitzwilliam museum asked Keepthinking to lead their project for the Illuminated Manuscripts digital platform. 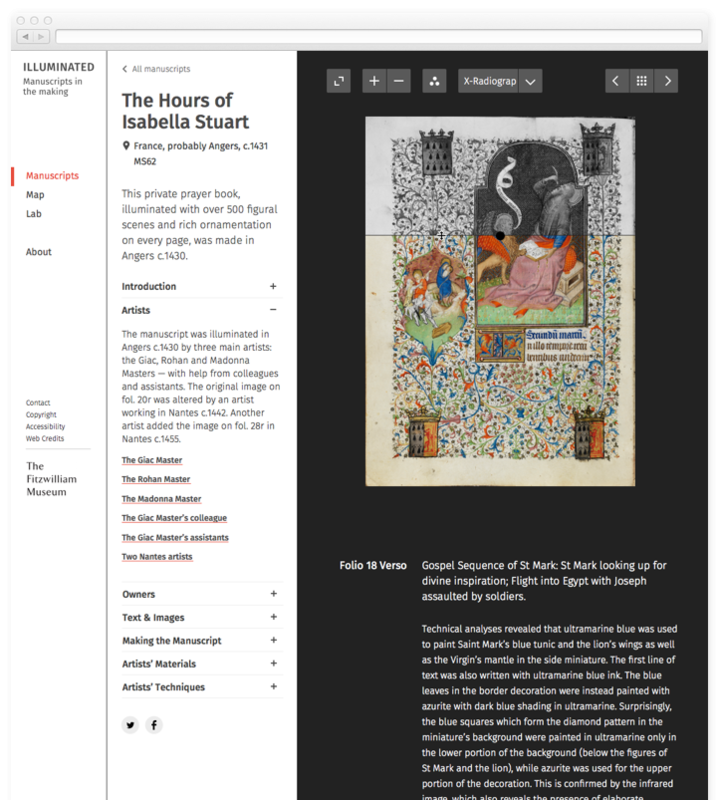 The website invites you to view multiple images within each manuscript, zoom in on details, discover drawings hidden beneath the painted surfaces, learn about the pigments and the advanced scientific methods used for their identification, and explore the relationships between scribes, artists and original owners. Containing the richest and best preserved repositories of medieval and Renaissance painting, illuminated manuscripts offer the largest resource for the study of artists’ materials and techniques in Europe from the 6th to the 16th century. 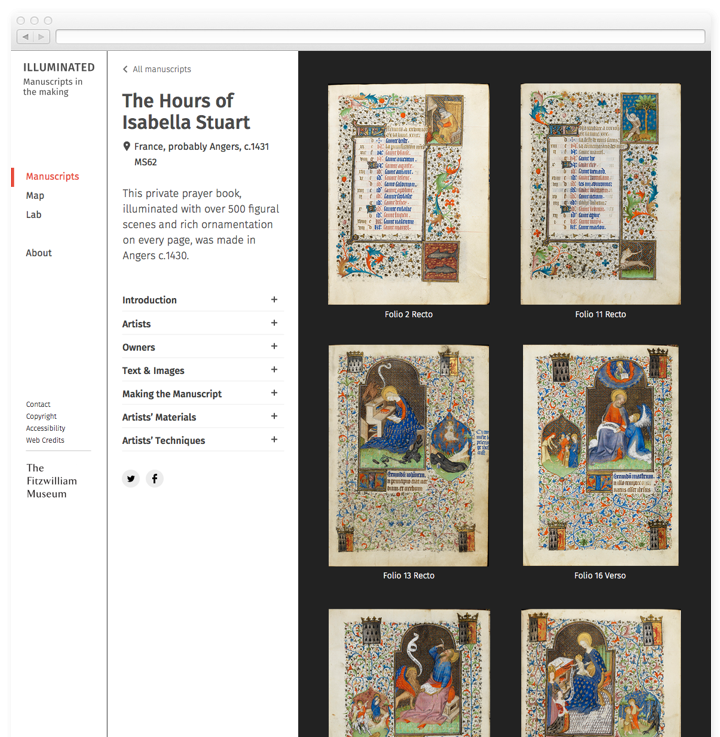 Within each manuscript the user is able to explore individual folio's. The audience is introduced to the manuscript, they can discover about the artists, owners and type of materials and techniques involved. They are also able to learn about the texts and images within the manuscripts and description and contents. 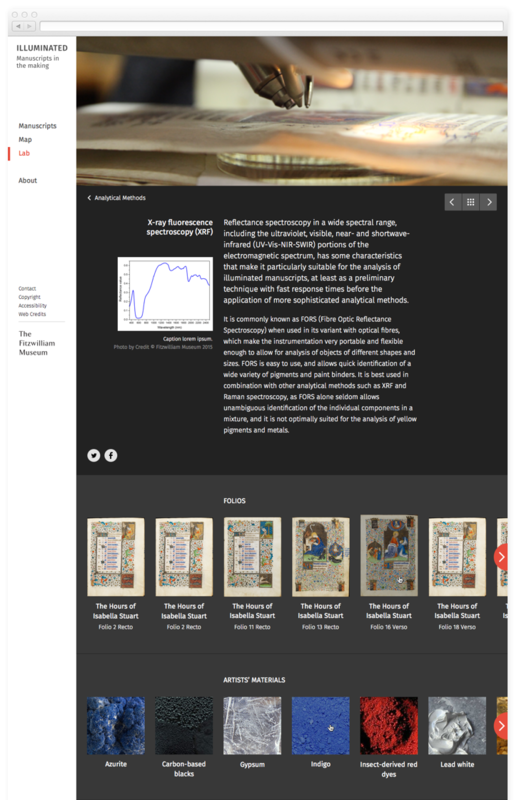 We introduced core engaging functionalities to enable further interaction with the manuscripts. These included features such as toggling hotspots which display detailed information on elements of the page, an infrared view of each manuscript page and zooming high quality images and sharing on social media. 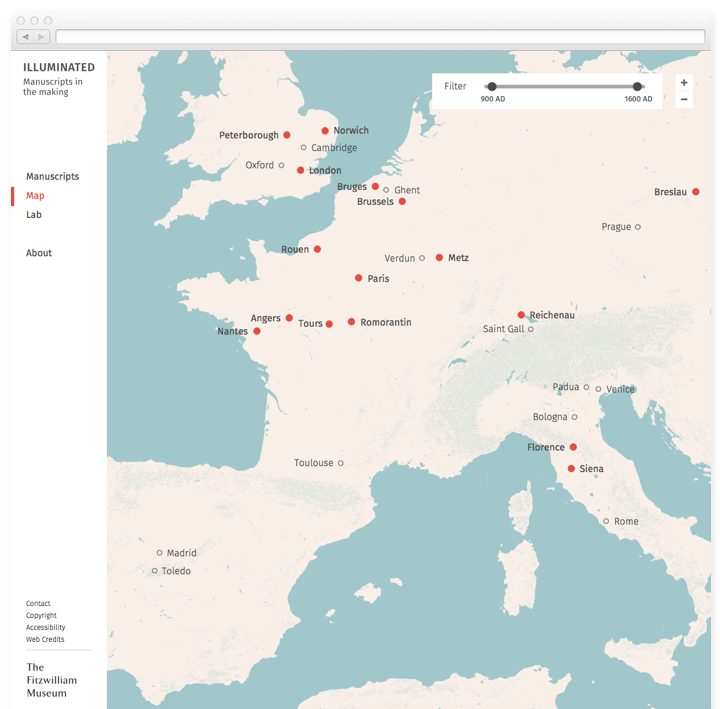 Each manuscript contains a location browsable by the interactive map. There is a separate timeline for each manuscript which displays a list of events related to its makers and owners. 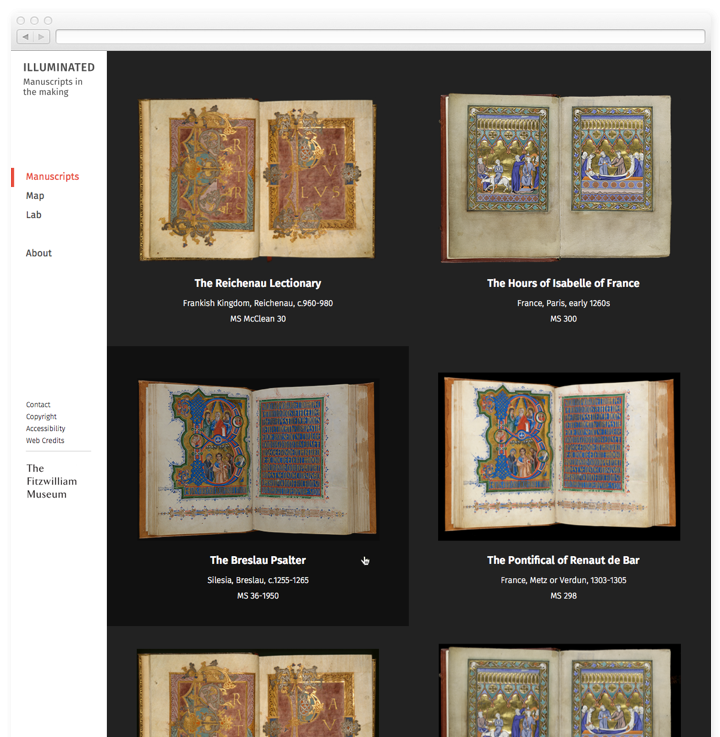 Selecting ‘go to manuscript’ will take you to a separate page with multiple images from each volume, information on the text, historical and social contexts, as well as scientific data relating to the pigments and techniques used by the illuminators. The 'Lab' section includes a technical analysis of the methods used within the illuminated manuscripts, and an overview of artist's materials and techniques. Here the user can find out about Infrared reflectography, Macro-XRF scanning, Near-infrared images, Optical microscopy, Raman spectroscopy, UV-vis-NIR reflectance spectroscopy, X-ray fluorescence spectroscopy and relevant links to manuscript pages containing interactive features of these methods.